Tom & Kieran tackle comic book class war spy thrills in Kingsman: The Secret Service and tense German U-boat drama in Das Boot. PLUS: Periscope tests (sorry, you missed it), posh nobs, Chris Eubank, Pirates of the Caribbean, Oscar Pistorius, Edgar Wright, Moonraker, Das Boot 2: Das Bootier, Kieran’s fear of submarines, problems with subtitles, drunken marksmanship, a technical interlude and adventures with lonely golfers. No time to waste as the boys get their teeth into Inside Out, 12 Angry Men and Lazer Team, and try to keep it under an hour. PLUS: Lava, Riley’s First Date, buzzing objects, The WOW Signal, MegaMan, Red vs. Blue, Slow-Mo Guys, Achievement Hunter, fandom, crowd funding, unprofessional on-air microphone adjustments, jury duty, Wall-E, Kevin Spacey, advertising jingles, AC/DC and funny noises. We’re back, with the correct episode number! This time, we’re talking The Taking of Pelham One Two Three and John Wick. PLUS: Confusion, lack of surprise, not Lalo Schifrin, Return to Oz, Noo Yawk, the context of character, fashion critique, sexism, reverse sexism, racism, homophobia, beagles, Mustangs, Faster, Chow Yun-Fat, Jet Li, Taken, Life of Brian, non-existent graphic novels, Making a Murderer, and the expected conventions of movie violence. Yes, we know Kieran got the episode number wrong. He is a fool. New year, new show! Two movies from first-time directors that spark great conversation and debate as we tackle Whiplash and Ex Machina. PLUS: the Rock Band calibration tool, I’m Sorry I Haven’t A Clue, The Darkness, Supergirl, flawless VFX, flawed logic, the Turing test (kind of), technical hitches, tangents, Zoids, hungry babies and an octopus in a jar. Check it out. At least watch the cool video we made for the Indiegogo page. It’s our final show of the year as we tackle photography documentary Finding Vivian Maier and vampire mock-doc What We Do In The Shadows. PLUS: the elasticity of time, marshmallows, cuddles, buzzing phones and a mysterious ghostly hand. Holy shucking fit, we’ve actually recorded a show! In this one, Tom intelligently reviews The Babadook, while Kieran blathers about Supermensch: The Legend of Shep Gordon. PLUS: we get two very famous actors confused, can’t remember one of their names, profuse apologies and Kieran does an impersonation of a sassy American black woman from the 70s. It’s been a long time coming, but we proudly present the first Have You Seen..? 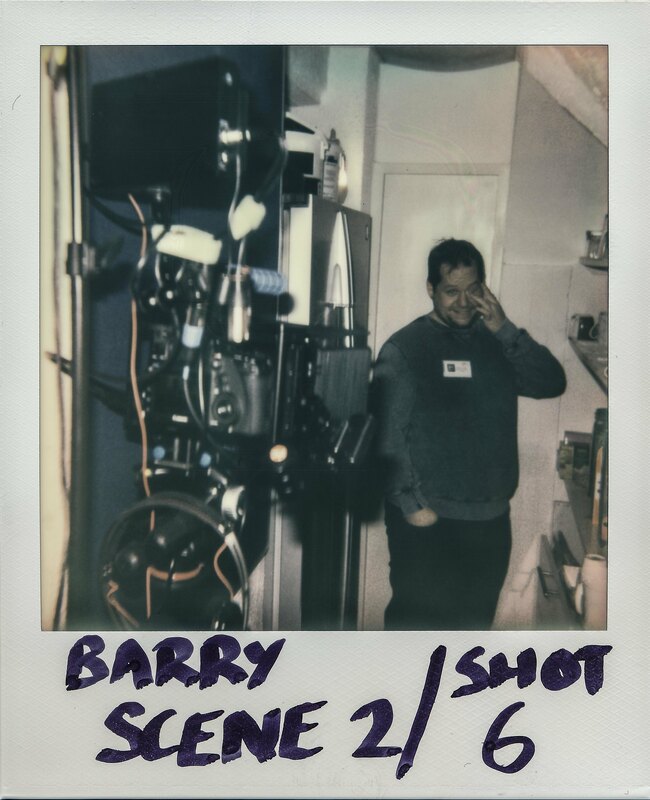 Films production, Barry! Part-time cleaner and full-time puzzle enthusiast Barry stumbles upon a mystery during his shift. We talk about the making of the film for a few minutes on episode 121, but the basic gist is we shot the film over a weekend in February in our office, then life and work got in the way and we finally finished the post-production at the end of August. My good friend Andrew Maddock stars as Barry and, with no dialogue to work with or other actors to bounce off, we really put pressure on him. Andy, however, rose to the challenge and filled Barry with so much more life and character than we imagined on the page. We’ve never told Andy this for fear of his head expanding, but Tom & I looked at each other after shooting the first scene and agreed that he was the perfect choice. You may also notice at the start of the film what the marketing industry refers to as “a soft rebrand” which will be rolling out across the site, Twitter etc. over the next few weeks. Feel free to share and tweet this link far and wide. We hope you enjoy it!